While writing and recording The Game, Queen were asked by renowned movie director Dino DeLaurentis to provide the soundtrack for his upcoming sci-fi epic Flash Gordon. The band accepted and promptly began working on both albums simultaneously. 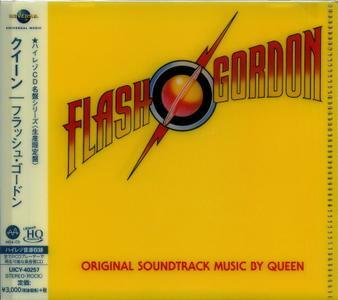 Although at first many fans criticized Flash Gordon since it was issued as an official Queen release rather than a motion picture soundtrack, it has proven to be one of rock's better motion picture soundtracks over the years. 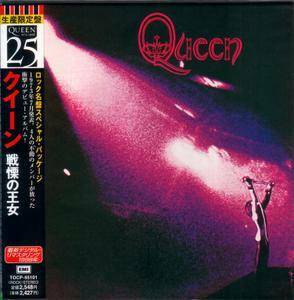 A Kind of Magic is the twelfth studio album by the British rock band Queen, released on 3 June 1986 by EMI Records in the UK and by Capitol Records in the US. It was their first studio album to be recorded digitally, and is based on the soundtrack to the film Highlander, the first in a series directed by Russell Mulcahy. 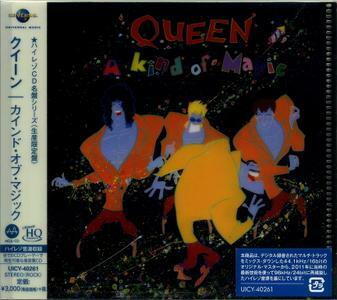 A Kind of Magic was Queen's first album to be released since they had been acclaimed for their performance at the 1985 Live Aid concert. It was an immediate hit in the UK, going straight to number one and selling 100,000 copies in its first week. 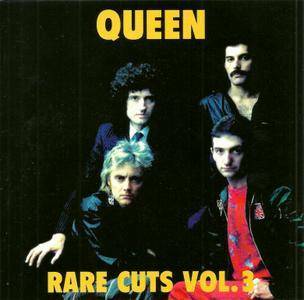 It remained in the UK charts for 63 weeks, selling about six million copies worldwide. Following their massive 1986 European stadium tour for the A Kind of Magic album, Queen took an extended break. 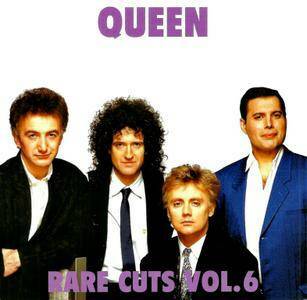 Rumors swirled about an impending breakup, but it turned out the break was brought on by a painful marital divorce for guitarist Brian May (who subsequently battled depression and contemplated suicide), and Freddie Mercury being diagnosed with AIDS. 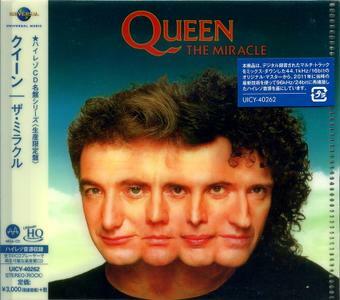 Instead of sinking further into misery, the band regrouped, worked on each other's mental state, and recorded one of their most inspired albums, 1989's The Miracle. Lyrically, the songs tend to reflect on the band's past accomplishments ("Khashoggi's Ship," "Was It All Worth It") as well as the state of the world in the late '80s (the title track, "I Want It All"). 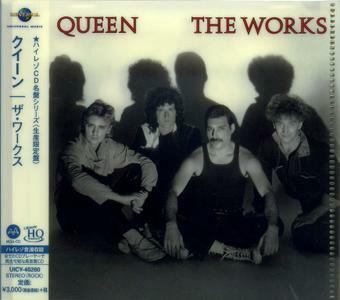 The Works is the eleventh studio album by the British rock band Queen, released on 27 February 1984 by EMI Records in the United Kingdom and by Capitol Records in the United States. 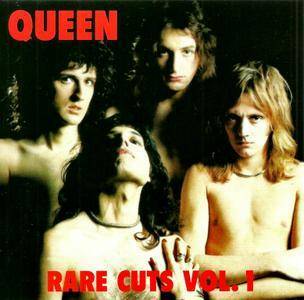 After the synth-heavy Hot Space (1982), the album saw the re-emergence of Brian May and Roger Taylor's rock sound, while still incorporating the early 80s retro futuristic electronic music (Freddie Mercury) and New York funk scenes (John Deacon). Recorded at the Record Plant Studios in Los Angeles, California and Musicland Studios in Munich, Germany from August 1983 to January 1984, the album's title comes from a comment Taylor made as recording began – "Let's give them the works!" 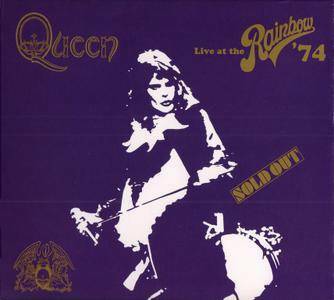 Like any patchy but promising debut from a classic rock group, it's often easy to underrate Queen's eponymous 1973 debut, since it has no more than one well-known anthem and plays more like a collection of ideas than a cohesive album. But what ideas! 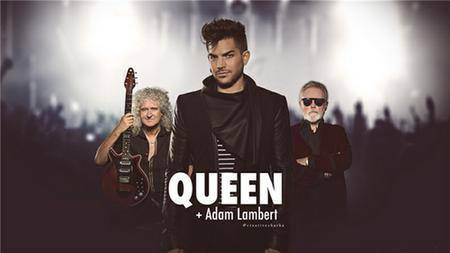 Almost every one of Queen's signatures are already present, from Freddie Mercury's operatic harmonies to Brian May's rich, orchestral guitar overdubs and the suite-like structures of "Great King Rat." That rich, florid feel could be characterized as glam, but even in these early days that appellation didn't quite fit Queen, since they were at once too heavy and arty to be glam and – ironically enough, considering their legendary excess – they were hardly trashy enough to be glam. Flora Shedden, "Gatherings: recipes for feasts great and small"